Does the thought of ruling your own island nation sound like a good idea? 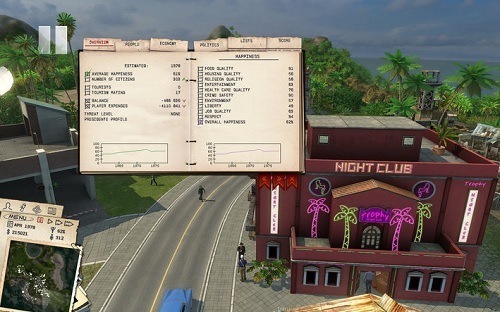 In Tropico 3 you get to jump in the shoes of a dictator as he manages his own banana republic. The game is the third game in the series and adds plenty of new features. 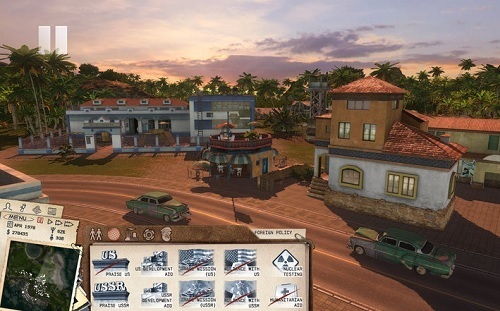 The main game mode available in Tropico 3 is the campaign which takes player through over a dozen missions to enhance their island and meet certain objectives. The player takes on the role of ‘El Presidente’ who has recently claimed power over the island of Tropico. As the new ruler of this island nation players are tasked with creating infrastructure, managing country resources and issuing laws for your people to follow. In addition to this players will have to please the seven different factions on the island that have specific needs and wants from you as the leader in order to keep them happy and prevent being overthrown. This need to please also extends internationally with the United States and USSR offering aid to the player based on their relationships. Your influence of control doesn’t stop there though with players even able to create their own timelines in the game, customise their avatar, create political speeches and a huge number of random map and mission tools. On top of all this you’ll also have to dynamically react to various random events that could pop up at any time during your rule from natural disasters to huge price fluctuations in needed goods or materials. As the game theme might suggest Tropico 3 has plenty of humour in its gameplay and doesn’t take itself too seriously with events being narrated over the Tropico News Today radio station that always has plenty of satirical commentary to enjoy. Tropico 3 has enough meat on its bone for returning players and is just as good as any of the other games for newcomers to start their own El Presidente adventure. Assume the role of El Presidente. Manage the island nation of Tropico. Develop your island with infrastructure, laws and international relations. Plenty of replay value with a large number of game parameters to change in the free play mode. On Xbox 360, Windows or Mac.